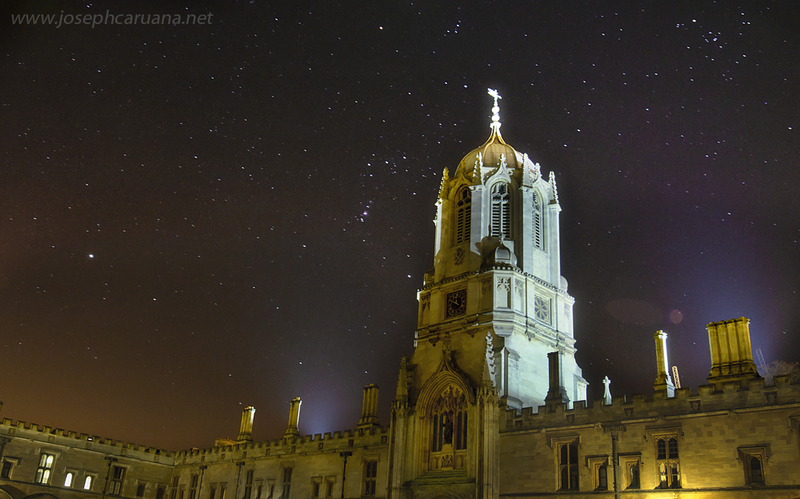 Well, tomorrow is a big day for us all at the Oxford Astrophysics department, as we expect hundreds of people to visit us and learn more about the universe. So here’s a fresh aptly-themed picture from my camera, which I snapped late last night, whilst a good friend of mine (you know who you are!) waited very patiently for me to finish the exposure. Enjoy!